IdeaBase was brought on board for the second year in a row to develop and design their year-in-review/annual report. The interactive report is designed in HTML/CSS and this year features a single-page design (with supplemental article pages). 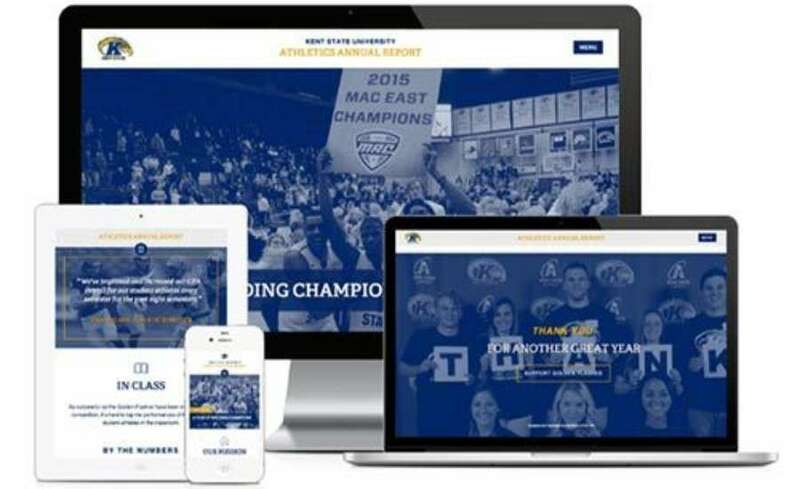 The design is composed to photos, text and custom icons that match the university’s blue and gold branding. As lead developer and UX designer on the project, I led the project team of account managers, developers, designers and also interfaced with the client, who wrote all of the content and provided the photos. We went through a process of discovery, content gathering, design/architecture and development over a period of 5 months.